RA SAFARIS is a Fully Licensed, reliable Tanzania Safari Tour Operator organizing safaris and tours to explore the nature of Tanzania. RA Safaris is run by a qualified team of African safari tour professionals with over 20 years of combined experience in the travel industry. The vehicles and equipment used are of high quality. Our professional and experienced staff is always up to discuss and arrange proper itineraries. The focus of our Tanzania Safari tours is on QUALITY SERVICE and SAFETY! Combine this focus with the beautiful scenery and wildlife of Tanzania, RA Safaris is one of the most ideal locally owned and run African safari company to arrange your life time adventure. We specialize in wildlife safaris in all the National Parks and Game Reserves of Tanzania including the Serengeti National Park-endless plains, the Ngorongoro Crater-eighth natural wonder of the world, Lake Manyara- tree climbing lions, Tarangire, Mikumi, Ruaha and Arusha National Park wildlife areas. 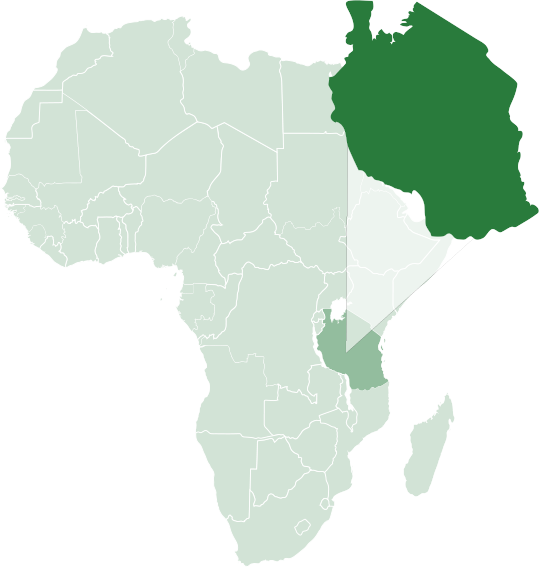 You mention Game Reserves in Tanzania; RA Safaris is prepared to take you to any destination of your choice in Tanzania. 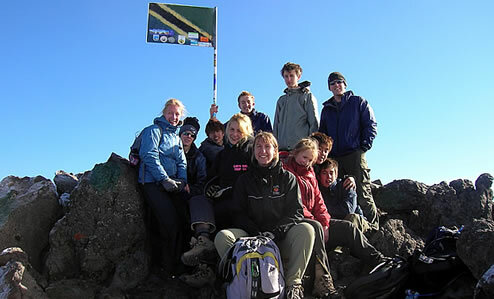 RA Safaris also specializes in mountain climbing/trekking in Tanzania, including Mount Kilimanjaro, Mount Meru and Oldonyo Lengai. Additionally, RA Safaris can combine these excursions with walking safaris, cultural tours, biking and Zanzibar beach holidays. We are a full service Tanzania safari tour company: we will arrange your flights, book your accommodations, arrange for transfers, and much more. 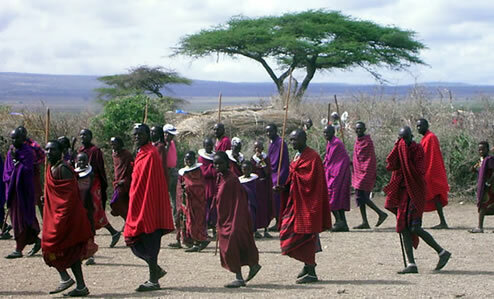 RA Safaris will guide you to and through the nature of Tanzania with quality service and your safety always in mind. Are you looking for professional and experienced staff, high quality food and equipment on your Tanzania Safari? Book with RA Safaris Ltd today for a real adventure African safari! Mount Meru is part and parcel of Arusha National Park. The dramatic crater of Mt Meru is often neglected in favor of its famous neighbor to the east, but a visit to this spectacular mountain, located within Arusha National Park, is cherished experience. Its lower slopes are covered in dense highland forest, where Colobus monkey play and buffalo gaze concealed beneath the thick foliage. In Tanzania, the land of superb landscapes and spectacular wildlife, another attraction that stands equally tall is the people. Tanzania’s people are among the most welcoming and approachable on earth, with a range of fascinating cultures ready to share with visitors. From Hadzabe of Lake Eyasi to the now world famous Maasai, a cultural excursion or a longer stay among local people is likely to become one of the most rewarding experience of any holiday In Tanzania. “Jeremiah is an excellent driver – we had complete confidence on his driving skills, safety, and knowledge of the area, people, traditions, animals and habitat. We learned a lot from Jeremiah about many topics. Patrick is a fantastic chef – chakula tamu (delicious food). Every meal was excellent, good variety and we ate much better (and more) food on safari than we do at home. We were impressed at what Patrick can cook on a fire. The vehicles were amazing. I enjoyed riding with all of them Gideon, Orie and Jeremiah. Each one had special interest which I learned a great deal. Most of the lodges were very elegant with very comfortable rooms. I particularly liked the order in which we did things. The tent lodge (Tindiga Tented Lodge) experience was especially unique and rewarding. I recommend your company without hesitation. Moses is a great guide! We really enjoyed him! Careful and courteous road driver, kind and generous. He is a very good driver and he really knows his safari: animals, and bird information. I would enjoy going with him again. Great vehicle for safari, comfortable and clean. The food at all camps was terrible. We had very prompt and courteous communication. Great price value and very personable staff. Your company is great. More people should know about all you are doing and the quality of your service.